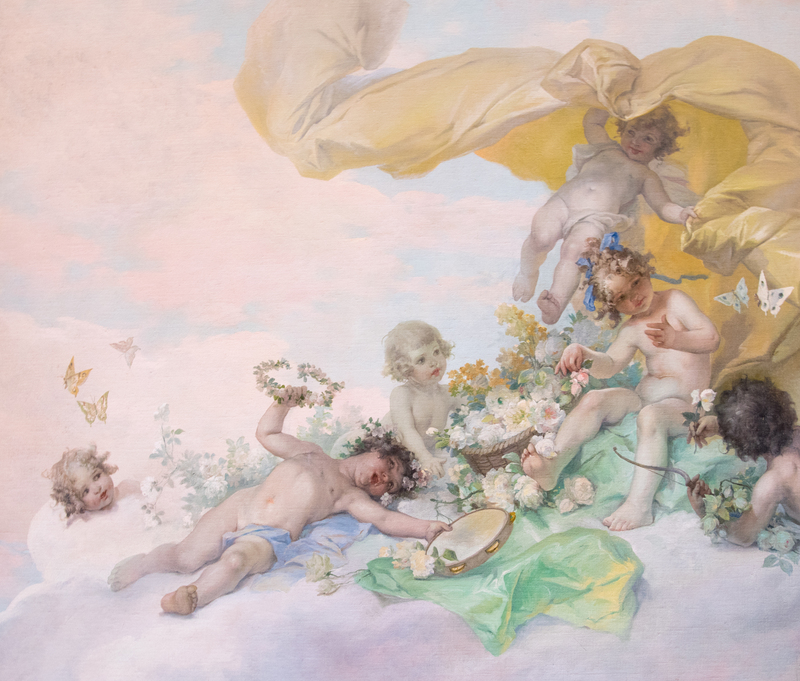 The ceiling mural in the Gold Room, titled Children at Play, was painted in the Beaux-Arts style by artist Louis Schaettle. Historical documents indicate that the mural was painted on canvas in New York City and installed on the Gold Room ceiling after it was completed. The mural is an original to the building and, as the title suggests, depicts a group of cherubic children playing together. The frame also includes cherubs in its molding.